Try staying in a Ryokan (Japanese Style Inn) if you want to enjoy local nature and historical atmosphere during your travel in Kiso area. Have a whale of a time on having the delicacy of clear Kiso River and mountains, and soaking in a hot spring. Feel the warm hospitality of Japanese inn. Only one hotel located along the mountain road connecting Kiso-Fukushima Station and Mount Kisokoma. Remaining original scenery of Kiso shows different colorful beauties of each season. Under a stadium of stars, a hot spring relieves the fatigue and thaws the heart of travelers. It may be likened to a spiritual home for modern people. 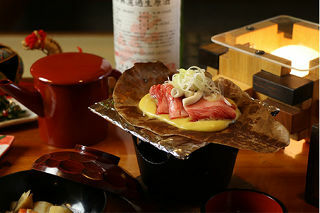 Please enjoy local specialties using food from Kiso Mountains and high quality sake of the local area and other regions. 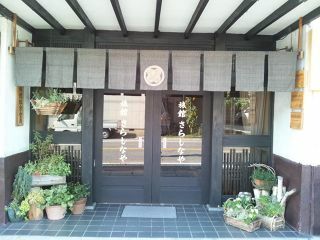 During 320 years of business as the inn on the Nakasendo Road, so many travelers have visited here. Have a comfortable time in unchanged Kiso, with gushing blessed hot spring from holy Ontake Mountain and delicacies of the season. Though the inn has great respect for traditions and spirit that have been handed down through generations, it is not particular about formalities and rules at the same time. All staffs always try to meet the needs of guest through the conversation or any other contact with guests. Every one of the staffs wishes to help guests creating their memorable stories in Kiso Road area. Enjoy the slow-moving time. Located at the center of Kiso Fukushima (Nakasendo Trail), Iwaya started its history in the Edo period. 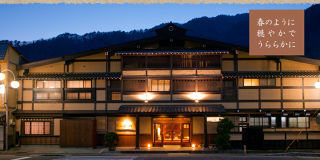 With over 350 years of history, it is the oldest accommodation in the Kisoji area. 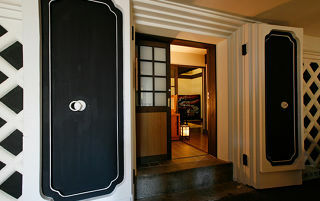 The Kura (storehouse) was renovated in the Meiji period, which is now a private annex for one party a night. We welcome you with our best service and our heartful dishes. 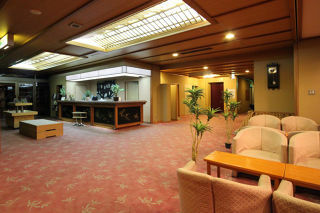 The hotel has a banquet space, in which the guests enjoy seasonal specialties and a great view of Kiso. Guest rooms with open-air bath were also renovated in time with the reopening. All floors including hallway are tatami flooring. 8 minutes walk from the Kiso Fukushima station. You can hear the river sound from some of our guest rooms. Feel the homelike atmosphere and enjoy the taste of the local ingredients picked from the home garden. Business travelers are also welcomed. 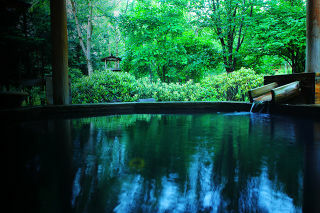 Business trip, student trip, hiking, walking... Mikawaya is an accommodation with hot spring that suits any kind of trip. Find the best plan for your trip. 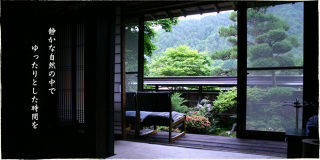 Kazari, an accommodation standing in the midst of nature. Surrounding nature changes season to season, which comforts the guests. How about a relaxing holiday with a cup of tea on the garden patio? Welcome to Yamakanoyu. Yamakanoyu started off as a post town on the former Hida Passage of Takayama from Kiso Fukushima during the Meiji Period. At the time, it was prosperous as a place for women workers and merchants to stay on their way to their hometowns. Currently, many visitors come here to tour the post towns on the Nakasendo route, to see the famous Kiso Horses and to enjoy the great-tasting Kaida soba noodles. Enjoy your stay with relaxing hot springs, cuisine which takes full advantage of local Kiso ingredients and warm hospitality from the staff. Located at the Kaida Kogen highland, the base part of Mt. Ontake. With 190 years of history, you will feel the atmosphere of the traditional Japanese housings. The skill of their handmade soba noodles are carried on from generation to generation. Please enjoy the local specialties. 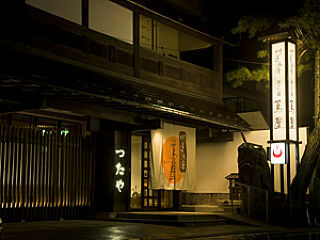 Fukinoyu is an accommodation with 100 years of history. 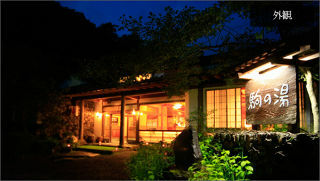 We serve dinner at a room with "irori" fireplace and stories of the mountain and river. Small-group welcomed, and you can stop by only for dinner. We look forward to your visit.